LET’S BEGIN WITH some geography! If you look at a map of Paris you will see that the city is more or less in the shape of a circle with the circumference circumscribed by the wall of traffic that is the Boulevard Périphérique. The Périphérique in effect delineates the Paris city limits, the area within the Périphérique is considered to be Paris and the immediate area beyond, the suburbs. 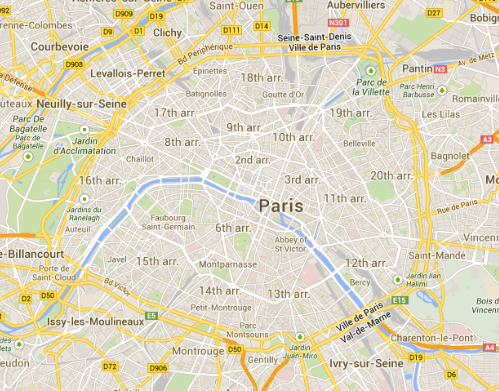 As you can see from this map, the River Seine crosses Paris in a semi-circle across the south of the city. The river flows from right to left as you look at the map so it enters the city upstream from the south-east and it leaves downstream from the south-west after passing through the centre of the city. The area within the semi-circle to the south is known as the Left Bank and everything to the north, the Right Bank. Paris is well known for its bridges and there are thirty-seven of them crossing la Seine within the Paris city limits. However, if you look at a Paris city map and count the named bridges you will come to a total of thirty-five rather than thirty-seven. 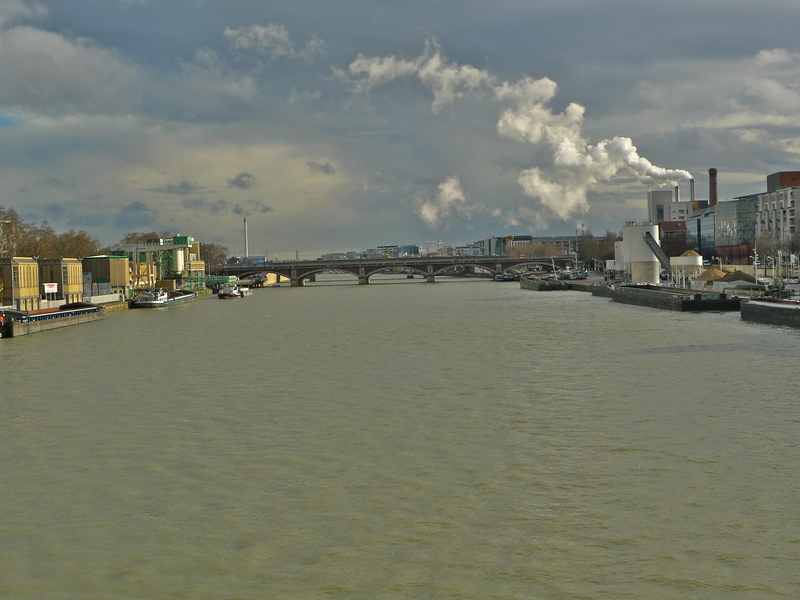 The discrepancy is accounted for by the two bridges that that carry the Boulevard Périphérique over la Seine, neither of which has an official name. 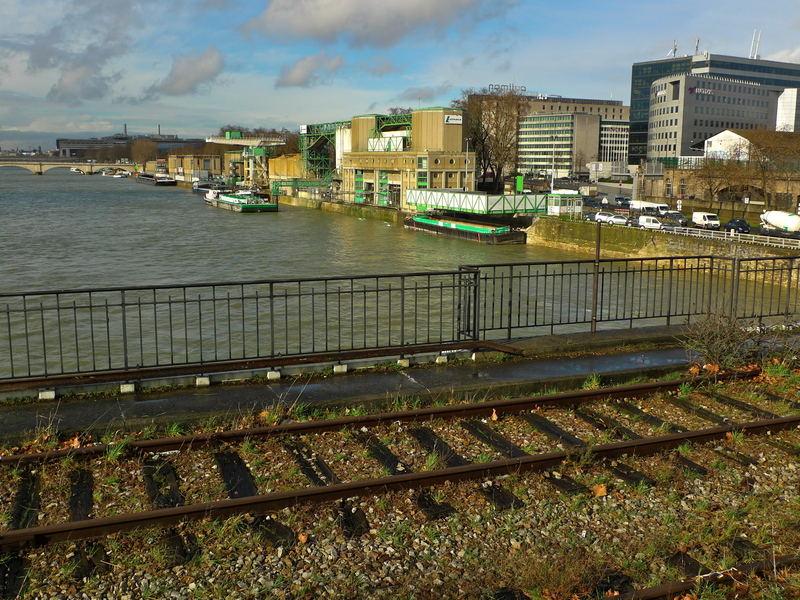 Unofficially though, they do have names: the one that crosses in the south-east is known as Pont Amont, amont being French for ‘upstream’ and the one that crosses in the south-west is known as Pont Aval – and yes, you’ve guessed it, aval is French for ‘downstream’. I’ve set myself the task of exploring all thirty-seven bridges that cross la Seine within the Paris city limits. As well as exploring the history of each bridge I’m also attempting to identify the characteristic sounds of each bridge. I’ve already discovered that some of the bridges do have characteristic sounds, the sounds on, under or around the bridges and in a few cases, and more excitingly, the sounds of the actual bridges themselves. 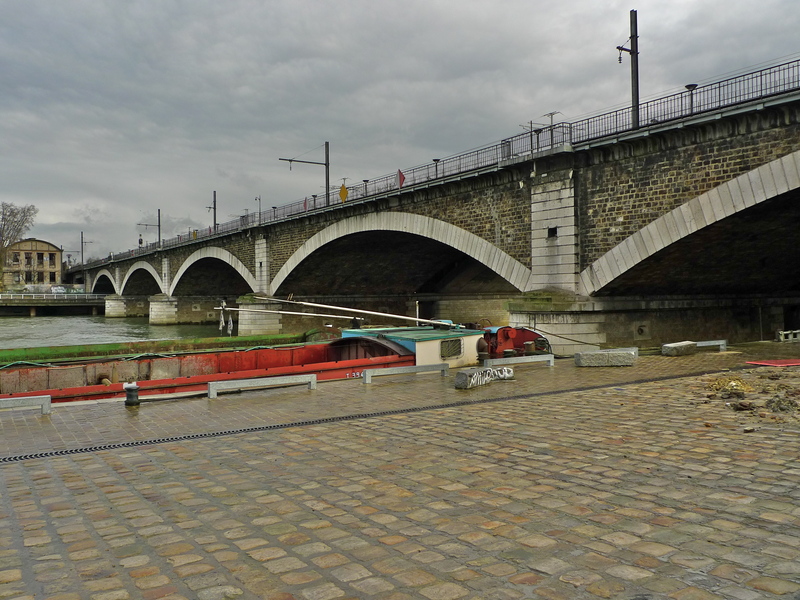 The work I’m doing on this Paris Bridges project (that’s the working title at the moment) is not specifically designed for this blog but rather for an audio documentary that I plan to produce. I will however publish cameo blog pieces like this one from time to time to illustrate the work I’m doing. 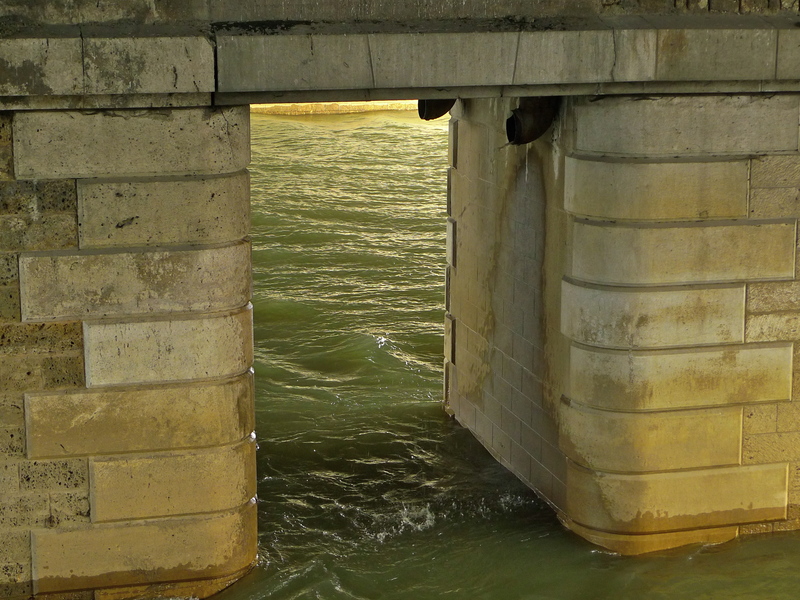 The other day, I went to explore the first of the named upstream bridges, the Pont National. The Pont National was built between 1852 and 1853 during the Second Empire and was originally named the Pont Napoleon III. It became the Pont National in 1870. The bridge is 188.5 metres long, it’s made up of five stone arches and it was originally built as a railway bridge to carry the Petite Ceinture across the Seine and to link the fortifications on either side. Built between 1852 and 1869, the Chemin de fer de Petite Ceinture, or “little belt railway”, was the first public urban transportation service in Paris and was the forerunner of today’s Paris Métro. It comprised a thirty-five kilometre line that encircled Paris and it was built mainly for transporting goods between the five main railway stations in Paris but it also offered a public transport service up until 1934. The first Paris Métro line opened in 1900 with more modern and more rapid rolling stock together with more comfortable stations and more competitive prices than the Petite Ceinture. 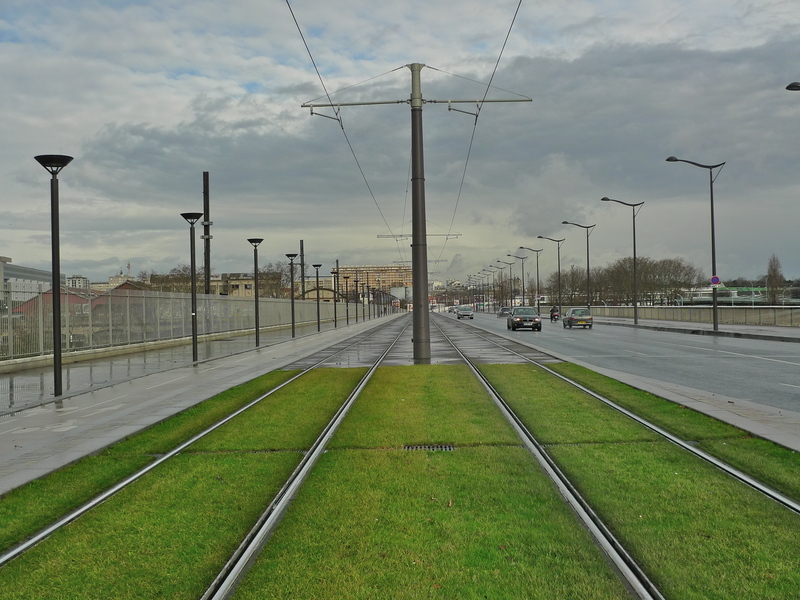 Consequently, the urban passenger service of the Petite Ceinture gradually began to decline. In addition, the local goods traffic grew. 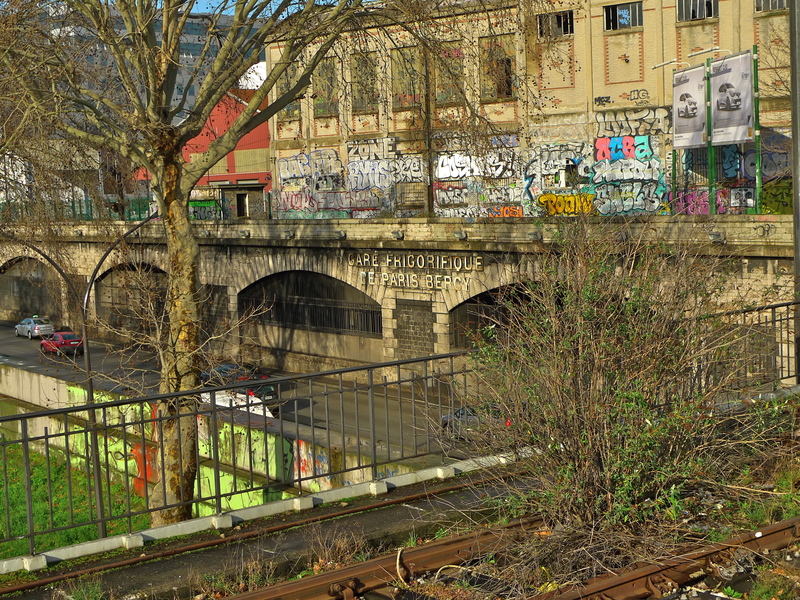 The Petite Ceinture operators used the loss of passenger traffic to decrease the number of passenger train movements and increase the number of goods train movements since the transportation of goods was much more lucrative than transporting urban passengers. Eventually, the urban passenger service ceased on 22 July 1934 and was replaced by a bus service. Today, twenty-three kilometres of the railway tracks of the Petite Ceinture remain including the original tracks across the Pont National. With the demise of the Petite Ceinture the Pont National lost its original purpose and so in 1936 work began to widen the bridge to accommodate road traffic. When the work was completed in 1944 the bridge had expanded to a width of 34 metres. 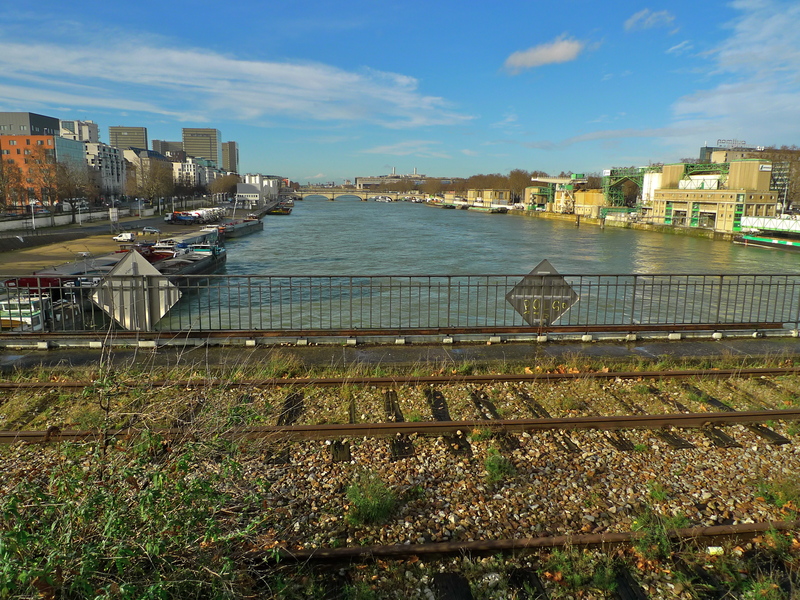 Today, as well as carrying the surviving tracks of the Petite Ceinture and the roadway, the Pont National also carries two footpaths, one on the upstream side of the bridge and one on the downstream side. 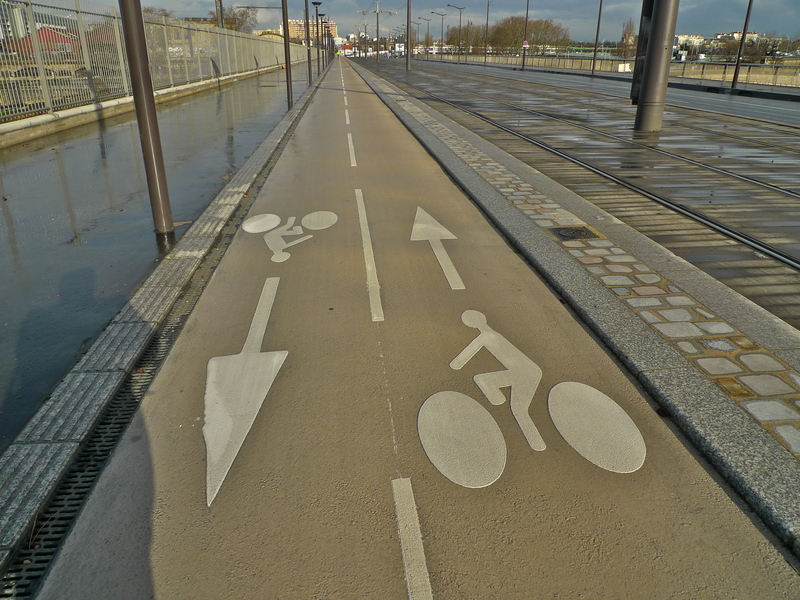 And, as though bringing the original purpose of the bridge back to life, the Pont National now has two relatively new rail tracks spanning the length of the bridge. 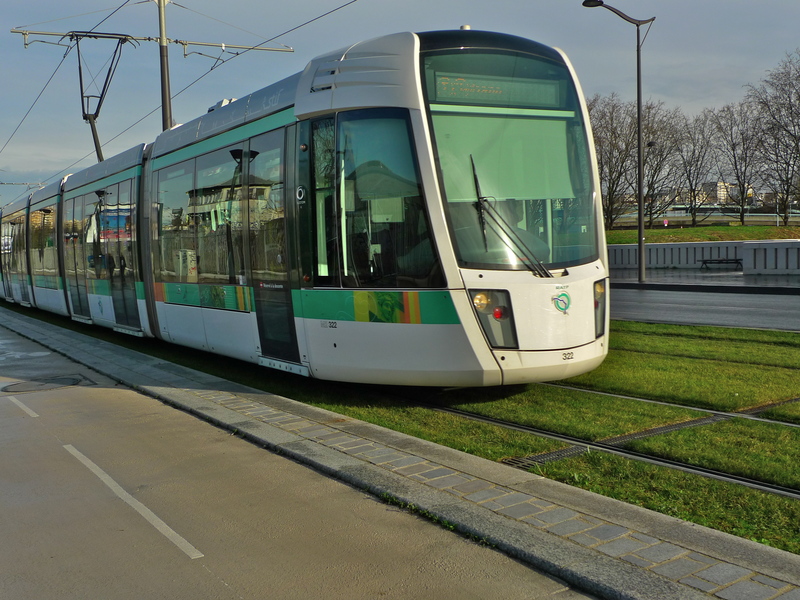 These tracks don’t carry rail traffic today but they do carry the trams of Tram Line 3, the line that circles Paris following the site of the old military road that ran along the inside of the fortified Thiers Wall, the last defensive wall surrounding Paris. 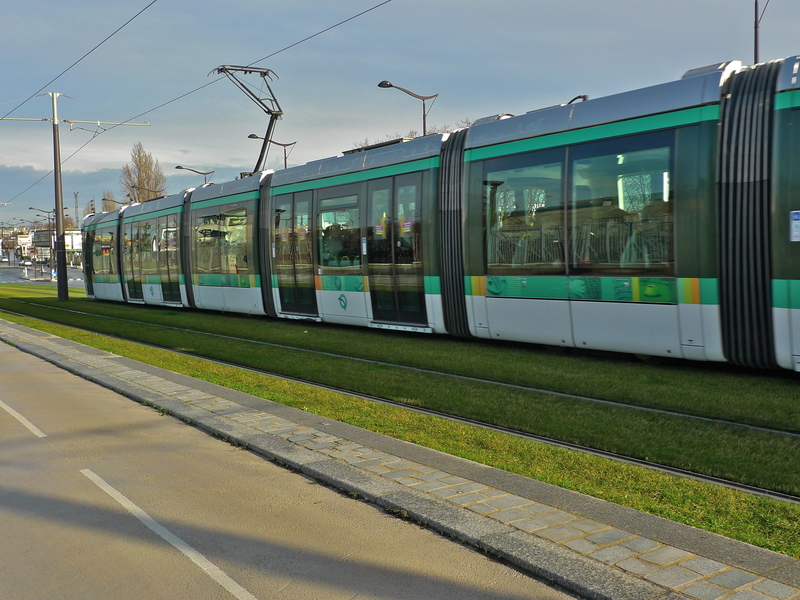 And, along with the constant flow of traffic, it is these trams plying back and forth across la Seine that give the Pont National its characteristic sound from on the bridge. While we can say that the sound of the trams are the characteristic sound of the Pont National from on the bridge these sounds represent only one sonic perspective of the bridge. What happens if we listen under the bridge? Well, it is possible to go under one arch of the bridge and from there we can get a different sonic perspective. We can hear the sound of the traffic and the trams passing overhead almost as a mirror image of the sounds on the bridge but with less precise definition. We can also hear the bridge groan from time to time whilst carrying its burden above. The constant sound though on this particular day is the sound of dripping water and this is a very functional sound. It’s the sound of water pouring out of the bottom of a large drainpipe, which is draining rainwater from the roadway above. As I was recording these sounds it was raining heavily and so the drainpipe was working overtime. As I was about to stop recording under the bridge, a ready-mix concrete lorry passed by me under the arch and this brings me on to another sonic perspective of the Pont National. 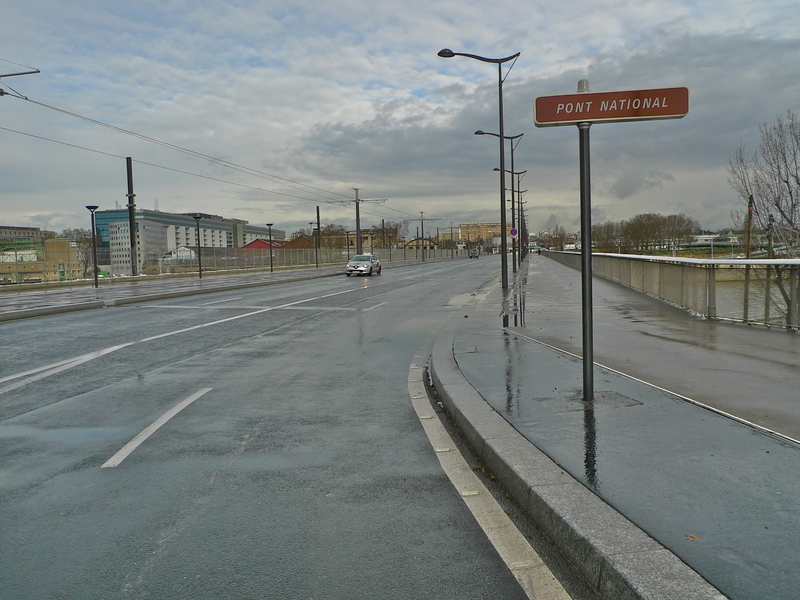 The Pont National does not of course stand in isolation, it’s very much part of its environment and since the mid nineteenth-century the area around the bridge has been the industrial heart of Paris. 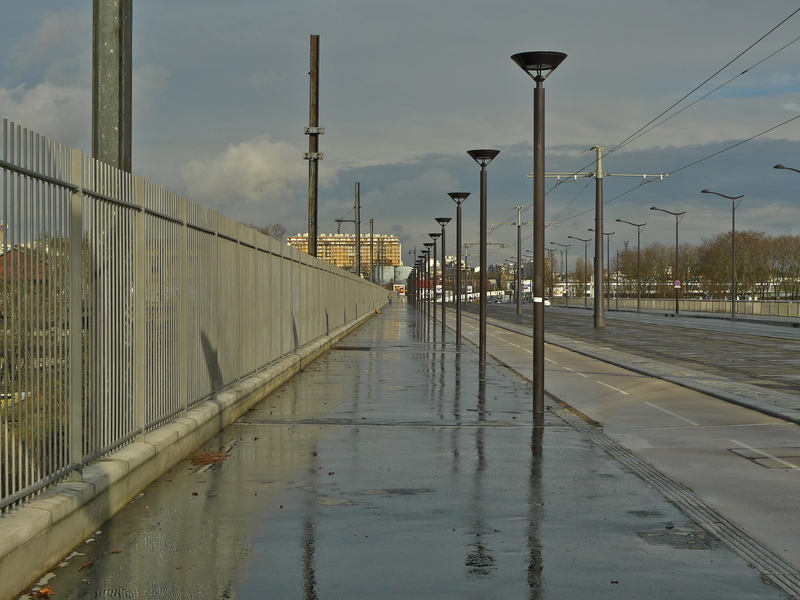 At one end of the Pont National is the old and now closed Gare Frigorifique de Paris Bercy. Opened in 1906, this station with its refrigeration facility was built specifically to receive wine destined for the ‘Entrepôt des Vins’ in nearby Bercy, at the time the largest commercial wine distribution centre in the world. In the nineteenth century most wine arrived in Paris by boat and could only be sold in the city after passing through Customs but by the late twentieth century wine could be shipped directly from the French vineyards to the rest of the world without having to pass through Paris and so the need for the ‘Entrepôt des Vins’ declined and eventually it and this station were abandoned. 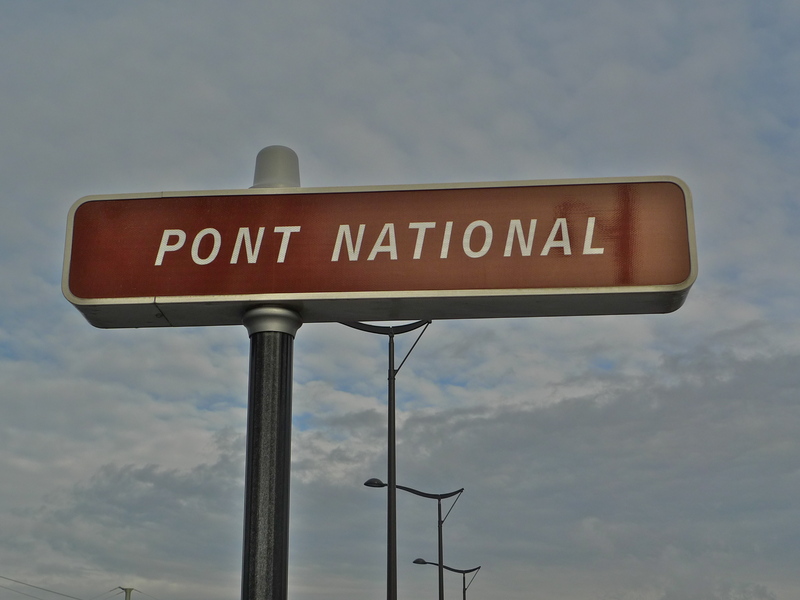 Today the immediate area around the Pont National has its fair share of large corporate offices but it’s more particularly associated with cement, concrete and aggregates for use in the building industry. … and the Mexican company Cemex occupies the Left Bank. 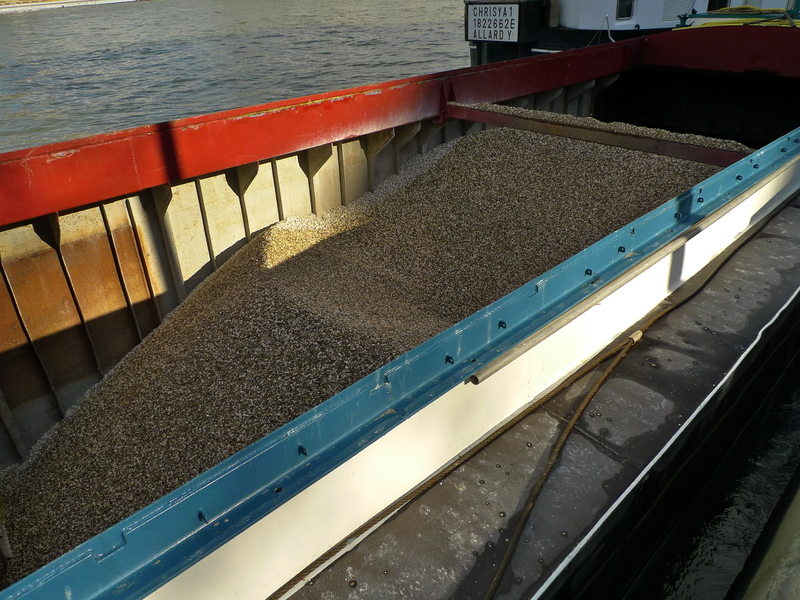 Both of these companies rely heavily on industrial barges to bring in their raw materials. 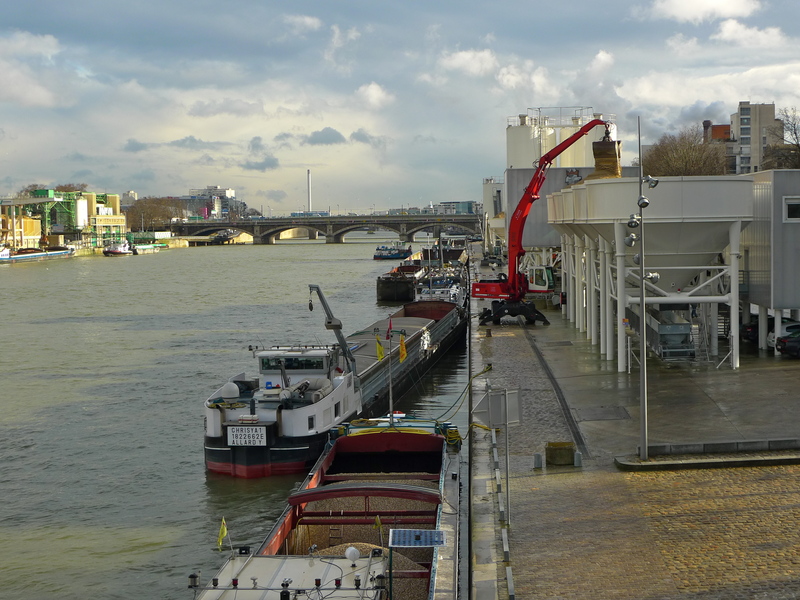 Industrial barges like this one travel up and down la Seine all the time and so it’s not surprising that their sounds form a third sonic perspective of the Pont National – the sounds around the bridge. One of the things I find fascinating about these barges is that they leave a long sonic footprint generated by their wake that can last sometimes long after the barge has passed. I find these sonic footprints as acoustically interesting as the sound of the barges themselves. I went to explore the Pont National as part of my research for my Paris Bridges audio documentary. So what did I learn? I learned that bridges like this have a history and associations, which are themselves worth exploring. I learned that this bridge at least does have some characteristic sounds but what those sounds are depends upon where you’re listening from. Although I was able to capture three sonic perspectives of the bridge – on it, under it and around it, the fourth perspective eluded me. Save for hearing the occasional groan of the bridge from underneath, I was unable to capture the sound of the bridge, the sound of the bridge itself speaking. But I won’t give up, the sounds are in there somewhere and I shall return with my contact microphones and attempt to capture the sounds inside the structure of the bridge to complete the sonic tapestry of the Pont National. What I also learned was something that I knew already. The contemporary sounds tapestry of the Pont National is not only fascinating but it’s also important. 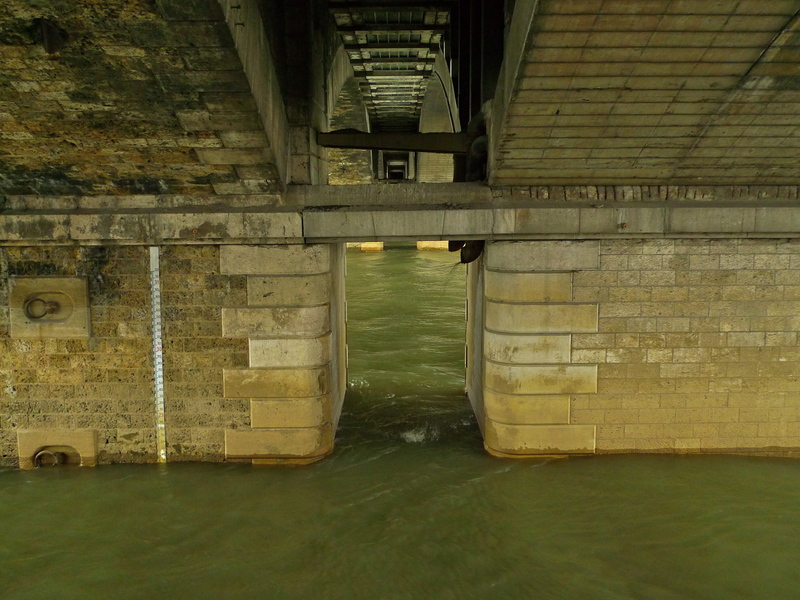 For the average person crossing or passing by the Pont National, these sounds, if heard at all, will simply be part of the everyday sound tapestry that accompanies their lives, at best taken for granted and at worst, ignored. But these sounds are important because they are not only part of our contemporary urban soundscape but also part of our sonic heritage. It’s a sad fact, but most of our sonic heritage has passed by completely unrecorded. 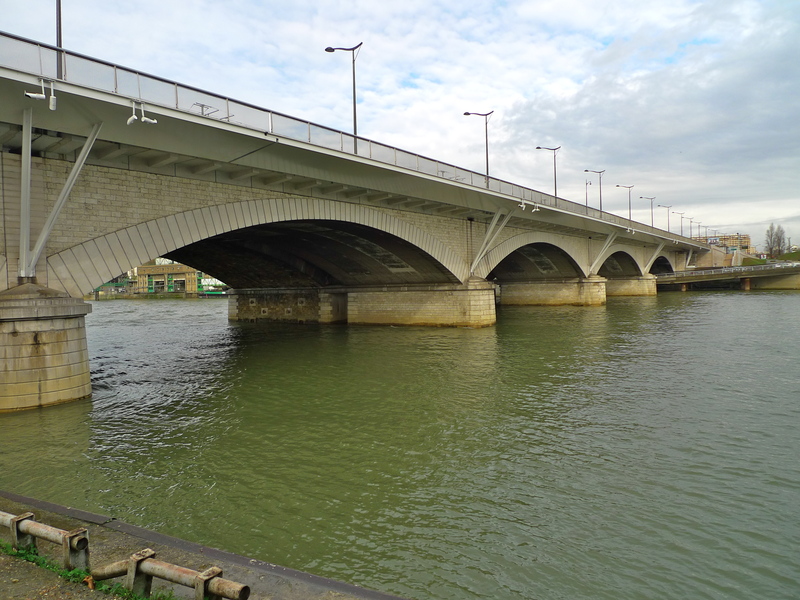 For example, we can find pictures and written descriptions of the Pont National at the end of the nineteenth-century but we have no record of its sounds, even though the sounds are part of the very fabric of the bridge. What would the Chemin de fer de Petite Ceinture have sounded like to us if we had stood on or under the bridge as it passed? Would the barges have sounded the same as they do today? What sounds would we have heard then that we don’t hear now? It is questions like these that compel me to record and preserve the sounds that make up our contemporary urban soundscape. In time these sounds will become history but, unlike in the nineteenth-century and before, we are now able to record and preserve that history for future generations to explore, to study and to enjoy. I think that’s worth doing.